Kaleb’s favorite part of the Club day is his chance to shine in the gym because he knows that Mr. Ron will coach him to be his best. The dodgeball league is one of several sports leagues offered to Club youth and represents one pillar of the Triple Play program. 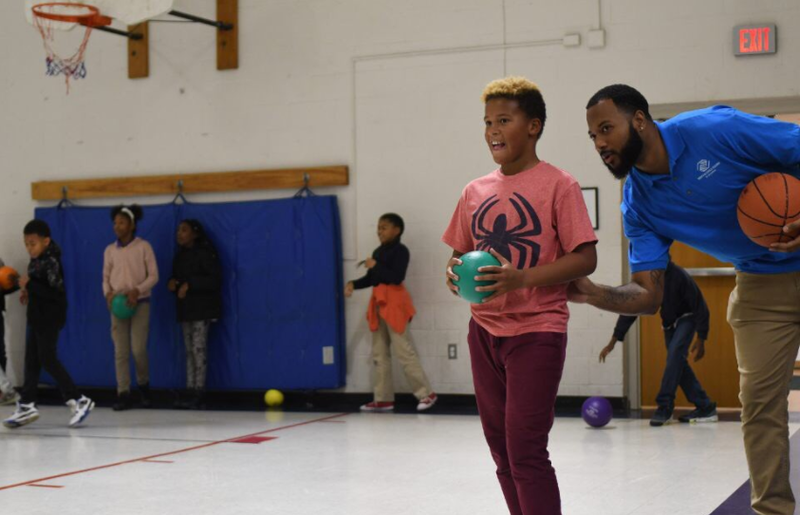 In addition to encouraging Healthy Lifestyles through physical activity, the program emphasizes holistic wellness initiatives for the mind and soul. Members are developing healthy eating habits by learning how to make smart food and portion choices. They also have the opportunity to strengthen interpersonal skills and develop positive relationships through recreation. Because of programs like Triple Play, over half of our Club members over the age of 9 get at least an hour of physical activity five days a week. Triple Play is provided through Boys & Girls Clubs of America with funding from Coca-Cola and the Anthem Foundation. Thanks to Triple Play, our kids are developing lifelong habits that build healthy minds, bodies, and souls!